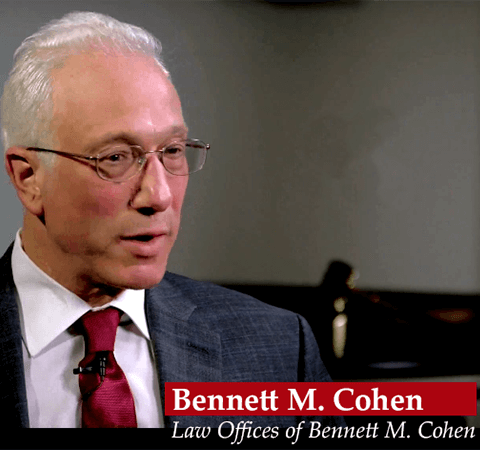 Watch this video to see how we convinced a jury to unanimously reverse the denial of benefits by Standard Insurance Company and how our client recovered 1.2 million dollars after Standard had refused to pay a dime. When I say I will fight for you, I mean it. My objective is to achieve the best result possible for you in your case. People come to us who have been the target of an insurance company’s bad faith denial of a meritorious claim or have been the victim of negligence or even intentional misconduct. Many have suffered severe injury and great hardship as a consequence. I want to know your story. I need to know your story. We will listen to you as long as it takes. We will spare no effort in analyzing your case and determining the best avenues for success. We will bring years of experience and success handling challenging cases to your case and go above and beyond the call. We will fight for you aggressively, strategically, and with unrelenting effort. It makes no difference who we are facing or what obstacles they put in our way. While the defendant may take pleasure in the stress and hardship it has caused you, we view your difficult situation as fuel to fight even harder. Insurance claims disputes, as well as malpractice and personal injury cases, are often complicated. Comprehensive and specialized knowledge of these areas is essential for evaluating, building and winning your case. We have amassed this knowledge through many hard-fought cases. We will bring this comprehensive and specialized knowledge and skill to your case. Uncompromising ethical standards always guide us in the handling of your case. Operating from a place of integrity is the only way to operate. It is not difficult when the truth is on our side and at the core of your case. I really appreciate your willingness to stand up for [your client] the way you did... In reviewing your work over the course of this case I have developed tremendous respect for you. You really do exemplify what it is to be a lawyer for people, and that’s as high a compliment as I can give. "Thank you for everything. You left me with nothing but good impressions of you as a person and your work! With all my respect." Schedule a free case evaluation to set your case up for success. In a confidential settlement, a disability insurer reversed its multiple denials of disability claims over two years and agreed to pay benefits. This case involved Standard Insurance Company, Reuters's bad faith denial of disability benefits. Major Disability Insurer reversed its denial of the insured's claim due to Multiple Sclerosis and agreed to pay benefits. My radius of service expands to fit your needs. My practice is based in San Francisco but I am glad to work for my clients throughout the Bay Area and all of California. If you live out of state, we are able to travel to meet with you and, if at all possible, represent you in the courts of your home state. I urge you to take control of your situation. Contact me today to set up a free consultation. Clients have told me that they found me to be an exceptional and tireless advocate for their cause. They have also told me that, by working together, they were empowered to speak with far greater confidence and effectiveness against the defendants. We live in a time when large companies and powerful people have few qualms breaking their promises and jeopardizing the well-being of others for personal gain. Standing up to such conduct can be anyone’s calling. We can stand against it together.